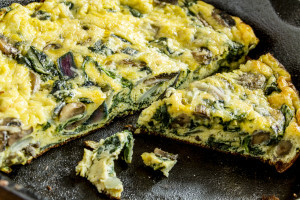 This is a nice Frittata that can be enjoyed year round, but seems especially delicious in the winter time. You could use sweet potatoes instead of regular potatoes, or even do half sweet and half regular. This is a great choice for a winter lunch! In a cast iron skillet over medium heat, add the olive oil. Add potatoes and cook, stirring occasionally for about 5 to 6 minutes or until tender and slightly browned. With a slotted spoon, remove from the pain and drain on paper towels. Add sausage to the skillet and cook, stirring occasionally. When the meat starts to change color add the onions and continue to cook until the onions are limp and the sausage is cooked through. Add sweet peppers and continue to cook until tender. Return potatoes to the skilled and stir. Add spinach and cook 3 minutes, season with salt and pepper. Add beaten eggs, swirling them around in the pan. Continue to cook for about 1 minute or until eggs are set on the edges but loose on top. Sprinkle with cheese and transfer skillet to the oven. 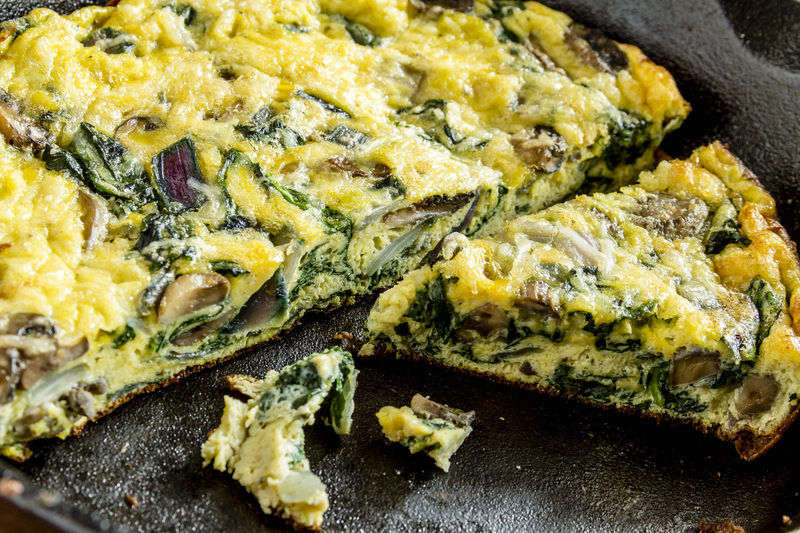 Bake at 400 degrees for about 10 minutes or until Frittata is slightly golden and set in the middle. Let cool a few minutes, then cut into wedges and serve.